Toying with the idea of adding backlight to a rotary encoder. You could rotate the lights with the encoder, or perhaps indicate the status of something or other. The case exists of two parts: The main body and a transparent part, the later of which is lowered onto the main body. 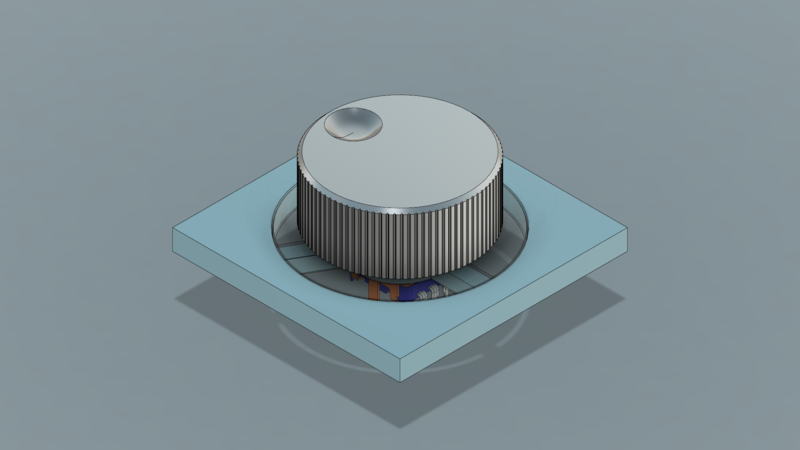 The transparent part then is locked into place by the hex nut that also keeps the rotary encoder in place. Looking forward to printing the parts and prototyping with it!